At Pocket Gamer Connects London 2016, we spoke to Matej Pavelka, co-founder of Clayburger, about looking for a publisher for the company's first game, Hopply. A casual game entirely made up of handmade clay models, Hopply is being made by just two people, who are both working full-time jobs at other companies. "It would be quite a challenge for us to put a game on the market," said Pavelka, as they are both just developers and have no experience actually releasing their own game. 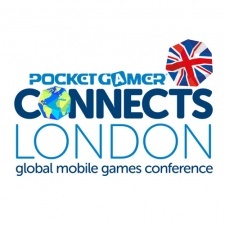 To that end, they had attended PG Connects London in order to connect with publishers, in the hopes that they could get some help in releasing the game. You can see all our videos from Pocket Gamer Connects London 2016 in this YouTube Playlist. Get the latest mobile games news, interviews and in-depth analysis on Twitter, Facebook, LinkedIn and our daily newsletter. Pocket Gamer Connects SEATTLE is on May 13-14, 2019. Book now! Why did UK indie JAM2Games come to PG Connects London 2016? Why did French indie Digixart come to PG Connects London 2016?